Santa Barbara Real Estate: Buy Now or Wait a Year? Buy Now or Wait a Year? 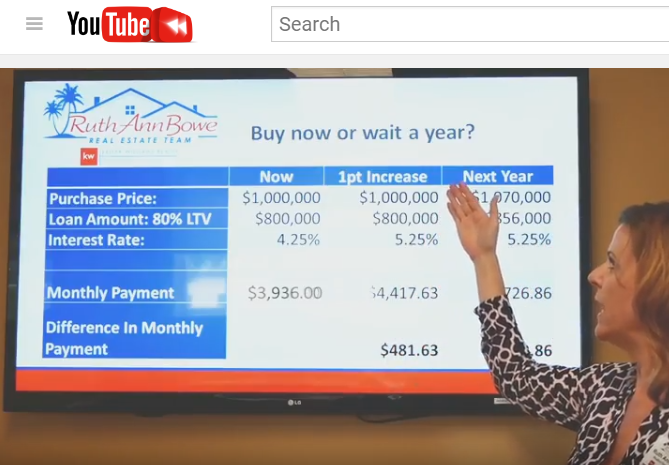 Dependent on your income level, if interest rates go up even 1%, your buying power (the amount of house you can buy) could go down as much or more than $100,000! Crazy, right? That could be the difference between one versus two bedrooms, or a house versus a condo, or that little extra luxury you really want in a home like a 2-car garage or a second bathroom. The key is to fully understand your personal situation and the best way to do that is to consult with the experts. Because of the tax deductions for owning a home, your tax advisor might suggest you increase the deductions you report on your W-4 form from, say, Single-1 or Married-2 to Single-4 or Married-8. This way, less taxes will be taken out of your checks and your take home pay will increase. Better to hold on to your own money, rather than Uncle Sam! A good lender can tell you what you can qualify for now and what your mortgage payment would be now based on your current situation, versus in a year if rates go up. They can also help you identify items on your credit report that could be improved upon so that you get the best interest rate possible. Check with the HR department where you work. They may have down payment assistance programs or associations with organizations like Coastal Housing Partnership, which can save you THOUSANDS of DOLLARS. That would be me, right? A good Realtor can help you identify “wants” versus “needs” in a home within your budget. Perhaps the pool and hot tub will have to wait a year or two, but let’s find the house that has room for it down the road! We can also introduce you to neighborhoods you might not have thought of that are perfect for your lifestyle! In addition, some Realtors can tell you about other down payment assistance programs that might be right for you! Another thing to consider when decided about buying a home is the amount of rent you are currently paying. A good way to look at it is for every $500 you pay, that is $100,000 in mortgage payments. So, if you are paying $2500 in rent, you are paying your landlord’s mortgage of $500,000. (These numbers change based on the interest rate.) With the increase in take home pay from adjusting your deductions, you may be able to afford even more than that. 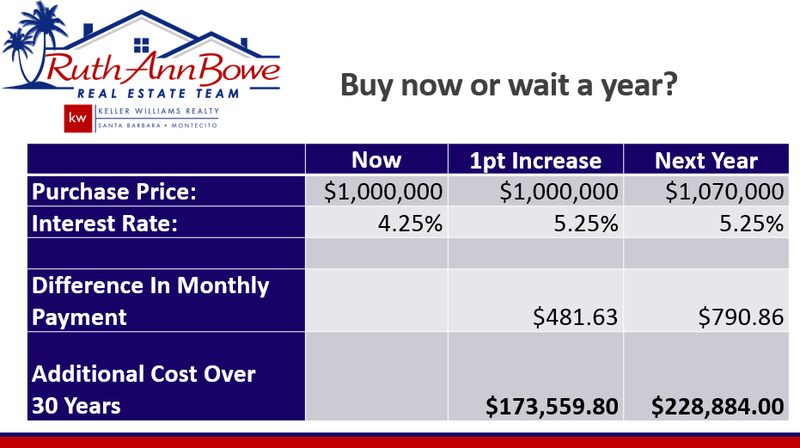 The bottom line is – any time is a good time to buy, especially if you plan to stay there a while. Not only will you be paying your own mortgage, you will be gaining equity from the increase in value of the home every year. And that, my friends, is all good! Connect with the Ruth Ann Bowe Real Estate Team today!